To uninstall app in Windows 8 is easy, just right click on the app and uninstall that unwanted program easily. It’s a time saving feature which allows you remove unwanted programs so quickly, no need to go control panel to remove those unused apps. To add this time-saving feature to your current version of Windows, you have to try a free app Menu Uninstaller Ultra. The app allows you to add the new “Uninstall” option to the context menu for any shortcut on your computer, with this option you can remove those apps with a single click and uninstall a program from nearly anywhere. This lets you uninstall software simply by right-clicking its shortcut on your Desktop or in your Start menu, and selecting Uninstall. Much quicker than going through the Control Panel. 1. Download and install the Menu Uninstaller Ultra app on your Windows PC, it free to use and Works with Windows XP, Vista and 7 with .NET 4.0 Framework. It’s a fast and efficient way to weed out programs you don’t want. 2. After the installation you can see the new “Uninstall” on your context menu. Just right click on the shortcut of the app that you want to uninstall, here you can the Uninstall Option. 3. Now just hit the Uninstall Option to remove the app from your PC. The program’s uninstaller runs automatically. It’s a fast and efficient way to weed out programs you don’t want. So no need to go to the control panel to remove unwanted apps. That’s it, form now you can uninstall applications directly from the context menu. 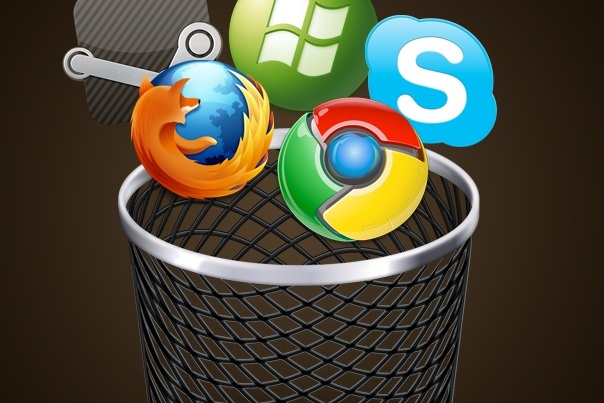 We tested the app in our windows 7 and Windows Vista PC, the application works smoothley and one of the fastes way to remove clutter from your computer’s hard drive.